Every Saturday through Sunday from 10AM to 2PM. Can't eat in? In a rush? Like our Facebook for our latest updates. 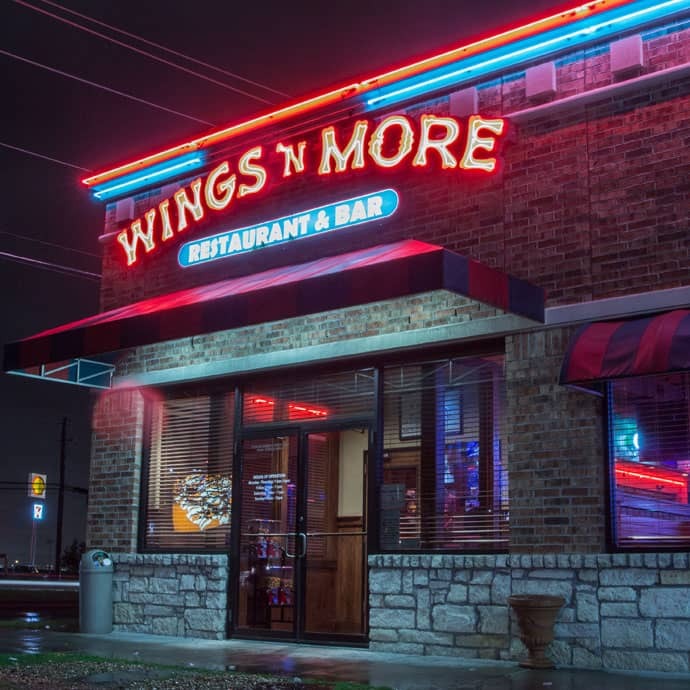 Wings 'N More is locally owned and operated. Way different than ordinary hot wing franchises. Our food is fresh and handmade to order. Your satisfaction is our wait staff's #1 priority. The seating arrangement is flexible to accommodate parties or intimate for special occasions. The bar has that Cheers familiarity where you're only a stranger for a moment. The atmosphere is warm and inviting. 75¢ tenders. 2PM - Close. Dine-in only. 75¢ wings. 2PM - Close. Dine-in only. $6 burgers. 2PM - Close. Dine-in only. Kids eat 1/2 off kids menu with purchase of adult entrees. 2PM - Close. Dine-in only.